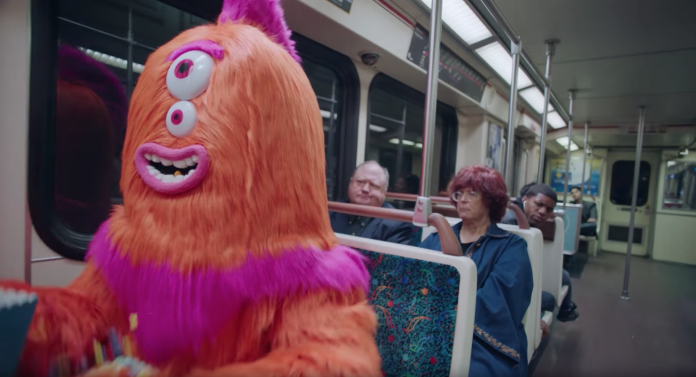 A series of bizarre anime-inspired videos have been released to promote etiquette on the Los Angeles Metro system. In all of the videos an orange monster called Rude Dude is confronted by Super Kind, a pop-song singing superhero. Whether the metro menace is scoffing – and dropping – sweets on the floor, obstructing the aisle with a pushbike or taking up dedicated disabled seating with a crate of pineapples, Super Kind teaches the creature a lesson in transit courtesy. Metro board chairman and Los Angeles mayor Eric Garcetti said: “Metro belongs to all of us, and that means being considerate of one another when we ride.